CONTEST: Win a 14 Day Teatox Program from Teatox Philippines! When in Manila and you’re looking for an alternative way to cleanse yourself, we recommend you try Your Tea’s Tiny Tea teatox. And now, the Tiny Tea teatox is now available in the Philippines! Created by Australians and made with select Chinese medicinal herbs, the Tiny Tea teatox is a 100% natural tea detox that can assist you with weight loss, digestion, energy levels, and relaxation. Your Tea aims to nurture your insides, revitalize your energy, and boost your image! Teatox, as we call it, is the newest detox program where all you need to do is drink tea. And if you’re a tea lover, this program has your name written all over it! You can experience weight loss without the fasting and hunger pangs. You can see results with teatox alone, without changing your diet. But if you add proper diet and exercise, you can see bigger results much faster. And the best part is, there are no severe laxative effects. That means you won’t have to run to the restroom at the most inconvenient times. These days, detox diets, juice cleansings, master cleanses, and other detox supplements are trending worldwide. Detoxification is all about resting and re-nourishing our body by eliminating unwanted toxins and impurities found in our system. The result is a slimmer, healthier, and happier you! Your Tea’s Tiny Tea detox program comes in a 14-day and 28 day run, and you need to drink three cups a day, 30 minutes before meals. This writer is on his second day and he feels lighter, happier, less hungry, and more refreshed! And guess what? The When In Manila team has partnered with the Philippine distributor of Your Tea for a contest! That’s right, we’re giving away a 14 day teatox program for one lucky winner! We will pick a winner randomly and announce the winner this Sunday on May 25 on When In Manila and Teatox Philippines’ Facebook page. When in Manila and you want to detoxify from the stresses of life, try Your Tea’s Tiny Tea teatox! Congratulations, Pauline Estrella! You won the 14-day teatox program! We have sent you a Facebook message. Please check your inbox. How Did the iPhone 6 and 6 Plus Do in a Drop Test? 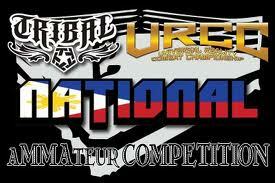 URCC Tribal Brawl Championships and Philippine BJJ International Open: Two Free Events You Shouldn’t Dare Miss!